i don't know if our drought has broken here or what, but the frequent rains so far have already dubbed this the 'summer of slug' around here - on the third planting of some things. diatomaceous earth is on the shopping list. applestar wrote: Tues: 138 this morning! Drizzling again, too. OK where was I? Right, 101 Tues evening, 108 this morning, and 85 this evening = 1155 It would've been 86 but my back gave out while I was reaching over the fence and I lost it. The bugger did the now maddeningly familiar "slime down the grass stalk act"
By the way, I can make it rain. Honest, I can. 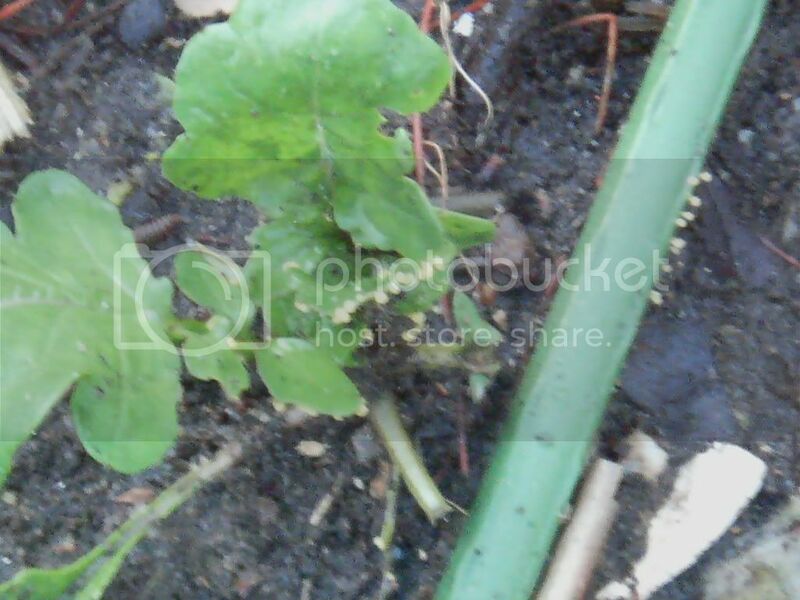 I go out slug hunting and as soon as I catch more than 75, it starts to rain. Hasn't failed yet since I started counting slugs. I've been having a little problem with slugs on my head lettuce, so I checked out this thread first thing this morning...I have found some good advice, but mostly had a supersized laugh to start off my day! You guys are hilarious, especially applestar and cynthia! I can't believe I'm reading this, while munching my sandwich, hmph. Anyway, I hate squishing and squashing things, but fortunately I don't have to. I was envying all of you for living in warmer zones, but now I can see one great advantage of our climate - no slugs and snails! 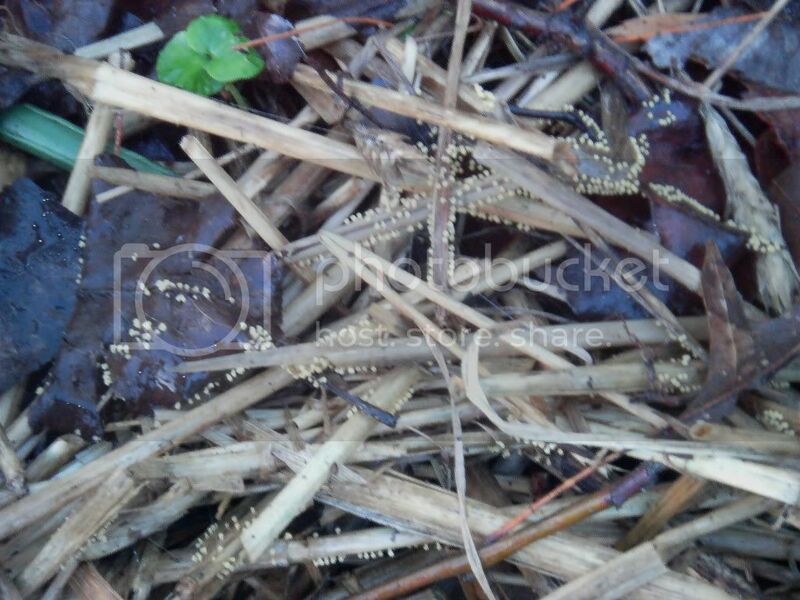 We have an invasion of stupid woodticks though, they are the grossest thing. I drown them in the execution jar after picking them off the dogs (or myself, shudder)! Total as of this morning is 1456. I'm losing enthusiasm -- maybe it's just the headache talking. Yesterday, I found the mother-of-all-slugs under a lettuce leaf in the New Kitchen Garden where until now, it was slug-free. 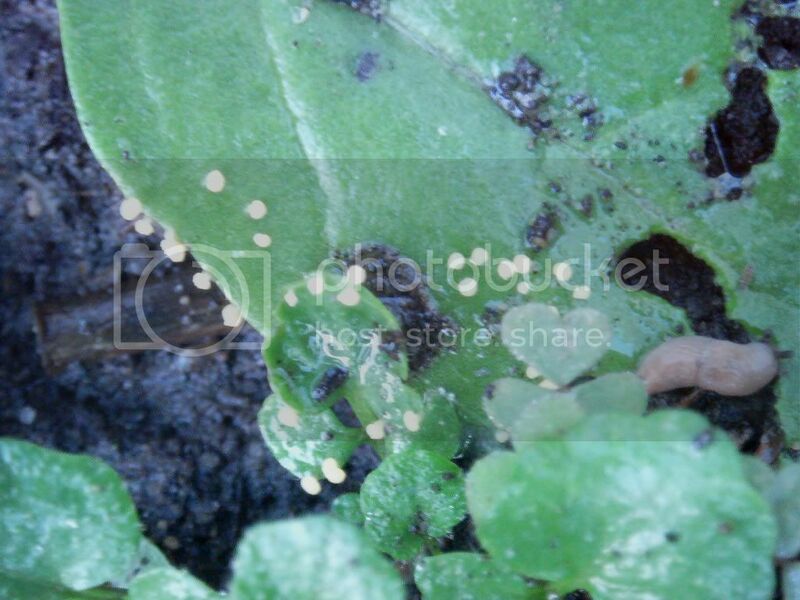 Then when I was rinsing off the lettuce I'd harvested, I found a cluster of eggs! MOTHER indeed. I really should've taken a picture, but I disposed of them in a panic and didn't think of it until later. Also, I've discovered that the slugs are climbing my little Cherry trees and eating the leaves. They're newly planted last fall, to be fan or free-form espaliered, so they're only knee high. I knew something was eating the leaves because the budded leaves on one fan-limb were slowly disappearing but I didn't see the slugs until today -- found 10 all together on the Cherries. Immediately checked the Apple trees located by the fence on the other side of the garden and found tell-tale chewed up leaves. Took a bit of searching but I KNEW it was there -- finally found the slimer at the top of a dandelion fluff that toppled over and was touching the trunk. Oh, they're all over the peppermint leaves too. Time for some diatomaceous earth, for sure. 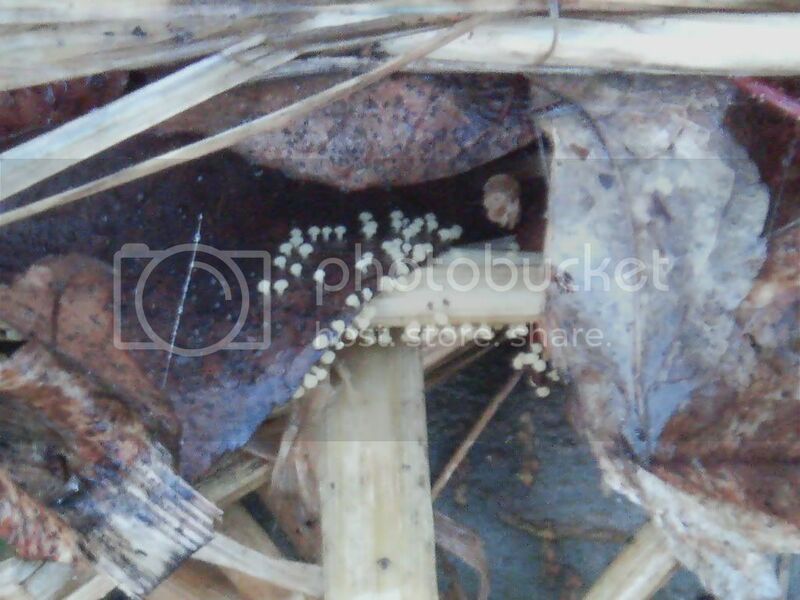 The little bumps in the photos don't look like slug eggs to me, but I'm not sure I can tell slug from snail eggs. 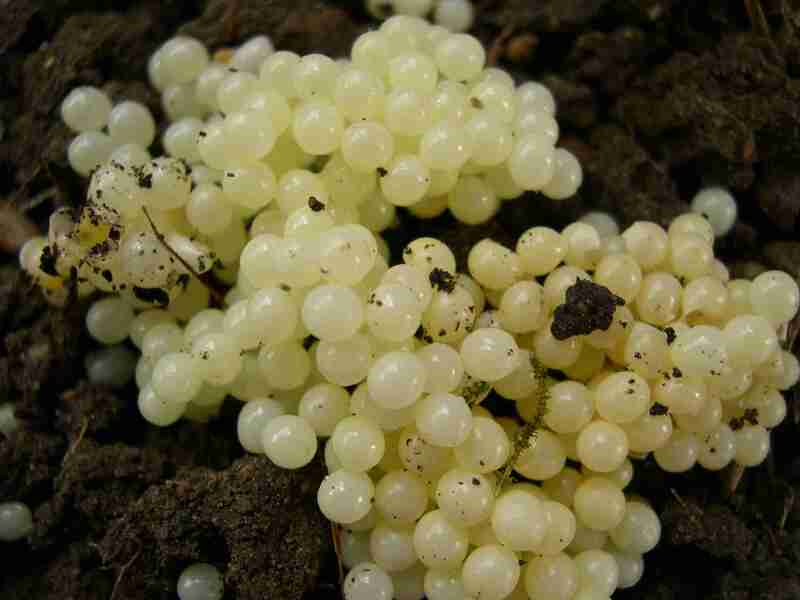 The eggs I have seen that I *know* are snail eggs are translucent and jelly-like, in a small mass, and not individually placed. I was gonna use beer for my snail bait until I saw this. I don't want that many slugs, or snails. lol! 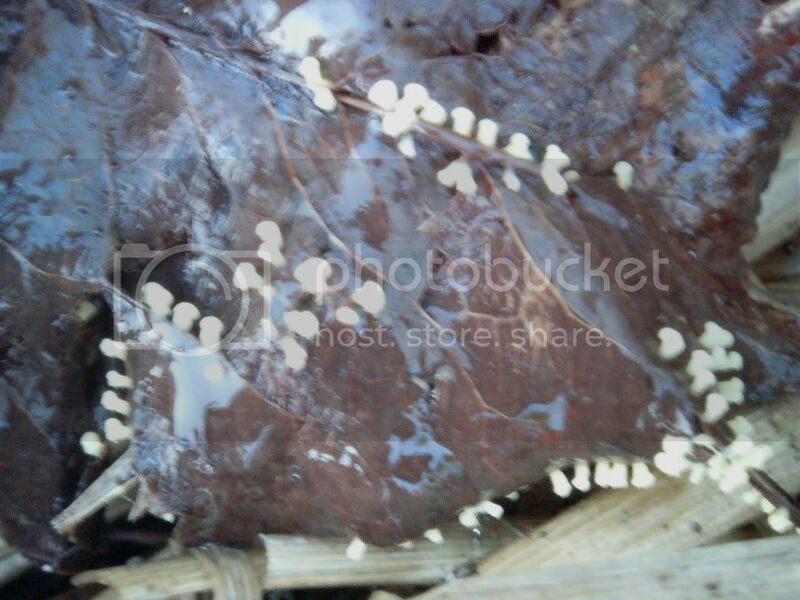 Oh, and I've seen OMRI Slug bait and it's active ingredient was iron phosphate, so I think it's perfectly fine. Just as long as it's not from a company like Miracle Gro, and your use it the correct way. I guess I'm kind of lucky in that I don't have too may slugs bothering my garden......at least early on in the season. Last year, I planted some crops in the summer for a fall harvest and had a really poor germination rate. I planted the same seeds this year and they all came up, so I'm guessing that it's the slugs that hit them last summer. I found 10 slugs the other night. Not too many though my garden is quite big. I have placed out some beer traps and copper wires, and these are very effective. Apple.. I will never doubt you again..From now on sensei I am your humble slug hunting student.